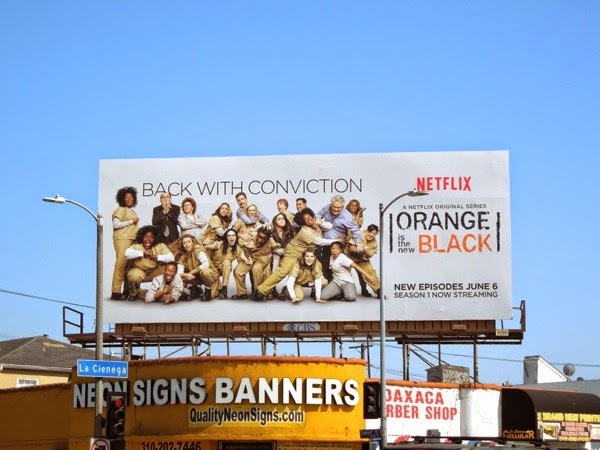 Taylor Schilling's 'Piper Chapman' survived her first season at Litchfield Prison in Netflix's acclaimed original series Orange is the New Black, and now she's 'back with conviction' with the rest of the female inmates for a sophomore season, just in time for you to binge-watch for the weekend. 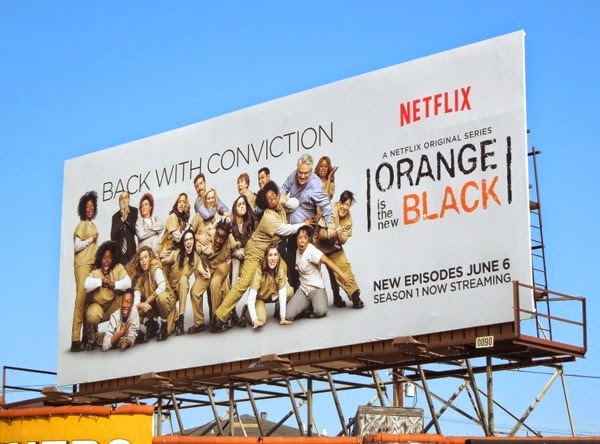 Can this yuppie fish-out-of-water tale, based in part on Piper Kerman's real-life memoirs, continue to be as addictive viewing as the first 13 episodes (quite possibly as it's already been renewed for a third season even before premiering). Get ready for more 'Taystee', 'Crazy Eyes', 'Pornstache', 'Red', 'Sophia' and more of the eclectic penitentiary staff and cellmates that keep people watching. 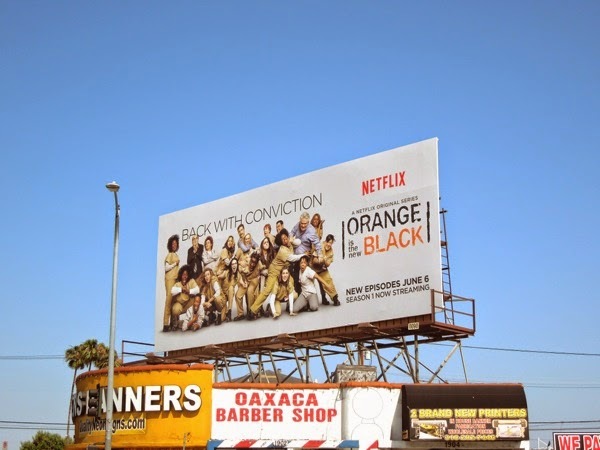 This rowdy season two billboard was spied along La Cienega Boulevard on May 25, whilst the Emmy Consideration billboard was snapped along Beverly Boulevard on June 5, 2014. 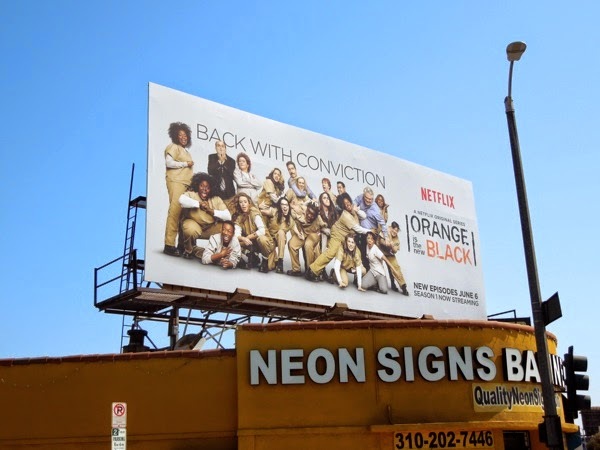 If you like these ads and are a fan of the series, be sure also to check out these season one billboards for Orange is the New Black. 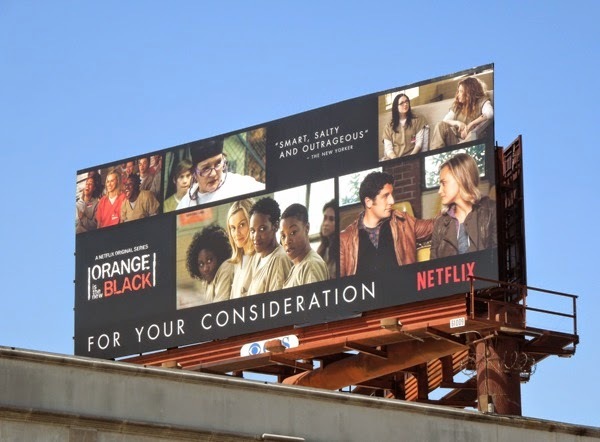 UPDATED: As 2014 draws to a close, another awards season is on the horizon and Netflix is supporting its shows in the hopes of scoring a Golden Globe or SAG Award. 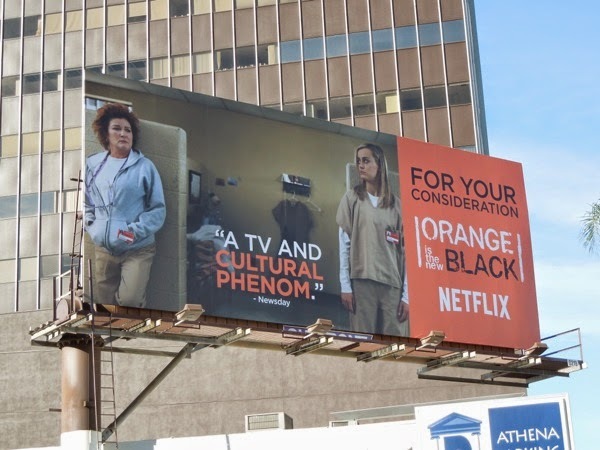 This For Your Consideration billboard for the second season of OITNB was snapped along Wilshire Boulevard on November 27, 2014.